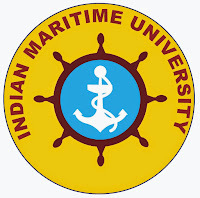 Tamilnadu Government Jobs Tamil Nadu Government Jobs: Indian Maritime University (IMU) - Assistant Registrar Posts. 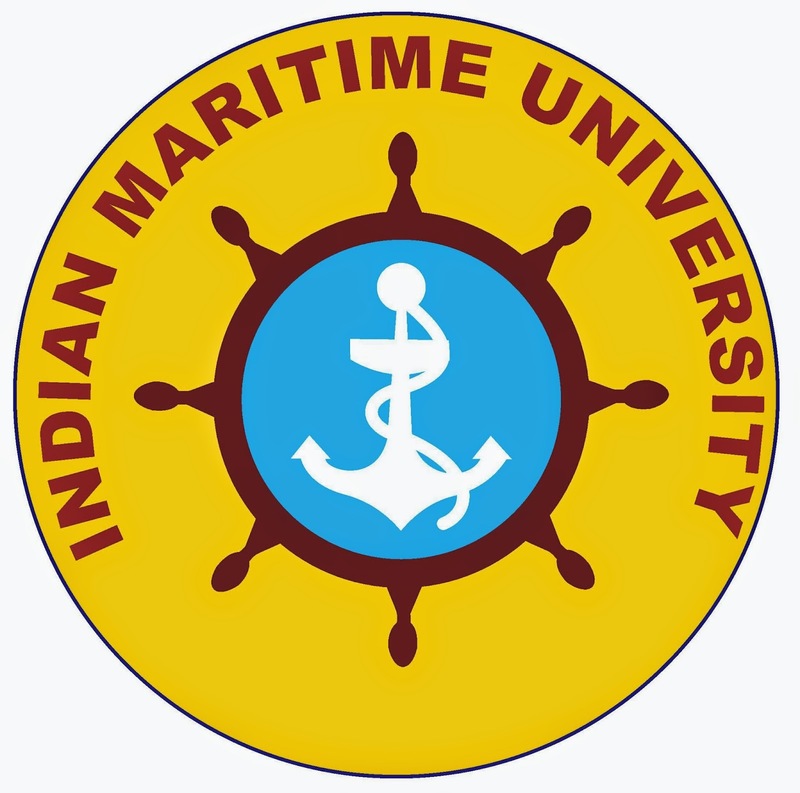 Indian Maritime University (IMU) - Assistant Registrar Posts. 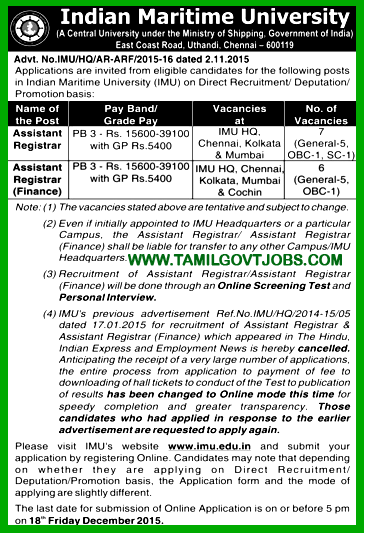 Assistant Registrar - 7 Posts (5 UR ; 1 SC ; 1 OBC) - Basic Pay 15600 Grade Pay 5400 in Pay Band III category - Post Graduate in any subject with 3 years experience - Age 40 years. Assistant Registrar (Finance - Internal Audit Officer) - 6 Posts (5 UR ; 1 OBC) - Basic Pay 15600 Grade Pay 5400 in Pay Band III category - Post Graduate in Commerce Subject (MCom) / CA / ICWA with 3 years experience - Age 40 years.